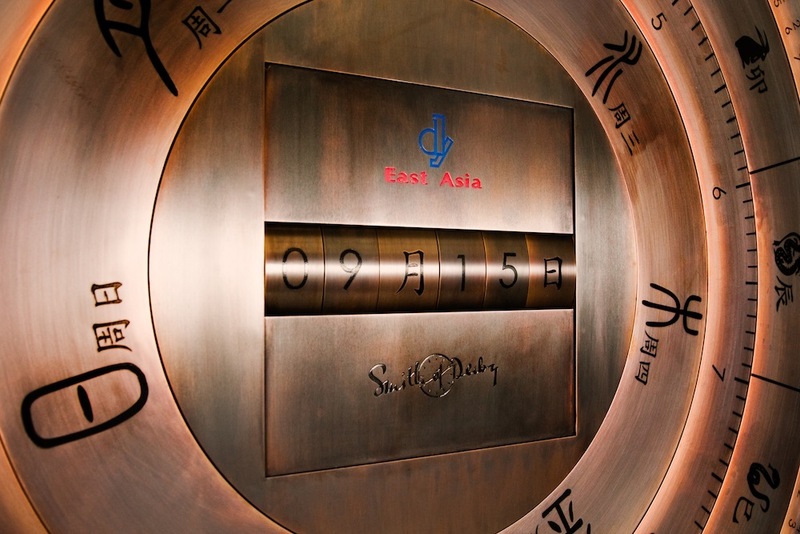 The East Asia Holding Company is one of China’s largest construction companies. 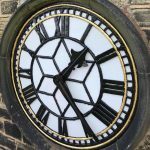 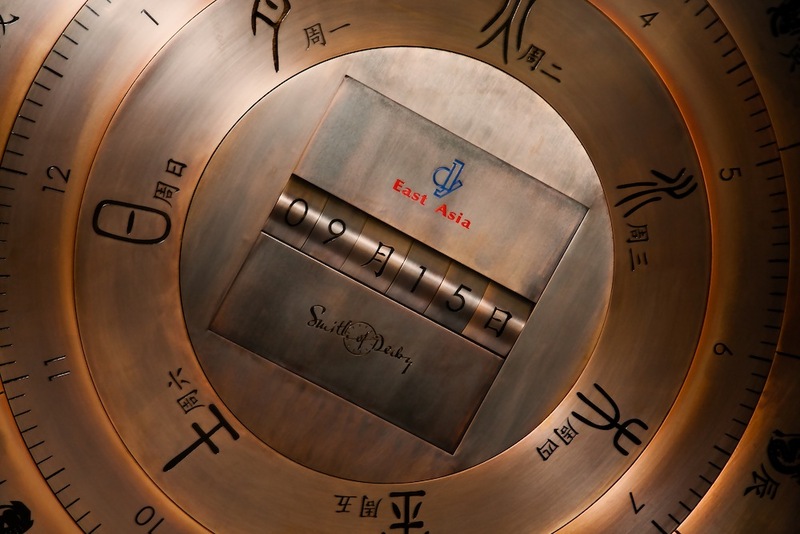 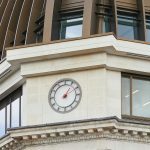 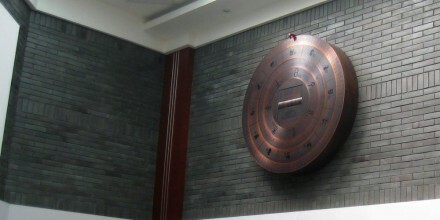 To celebrate the founding of the company and its 100 years of existence, the Century Clock was designed by Smith of Derby for the foyer of the company’s headquarters in Shanghai. 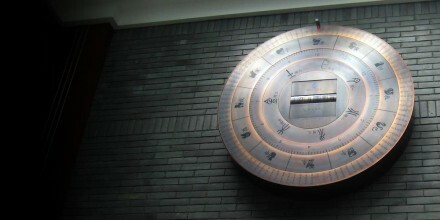 Manufactured mostly in bronze, this reception clock shows important landmark dates for the company. The outer ring indicates the present year, the second ring the applicable annual Chinese zodiac symbol, the third ring indicates the time in hours and minutes and the innermost ring shows the day of the week. 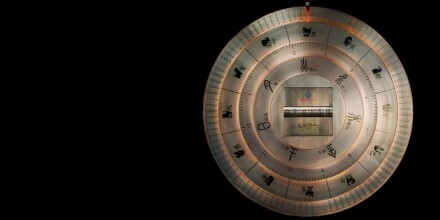 The centre shows the numeral for the month and then the day of the month. 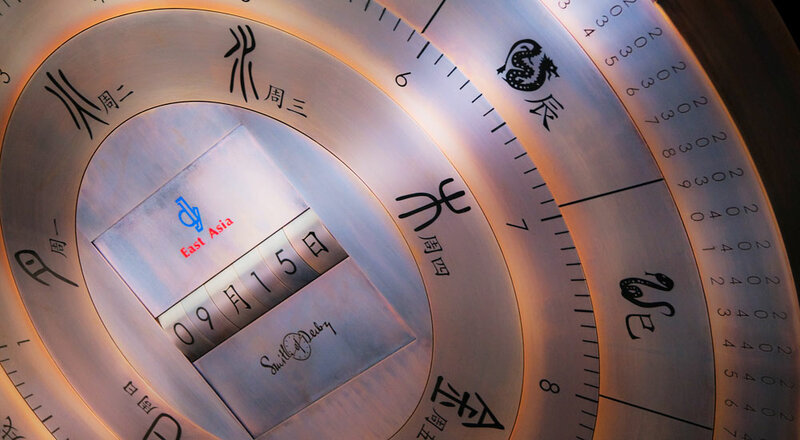 60 years is a special anniversary in China so 2017 is highlighted in Chinese script.